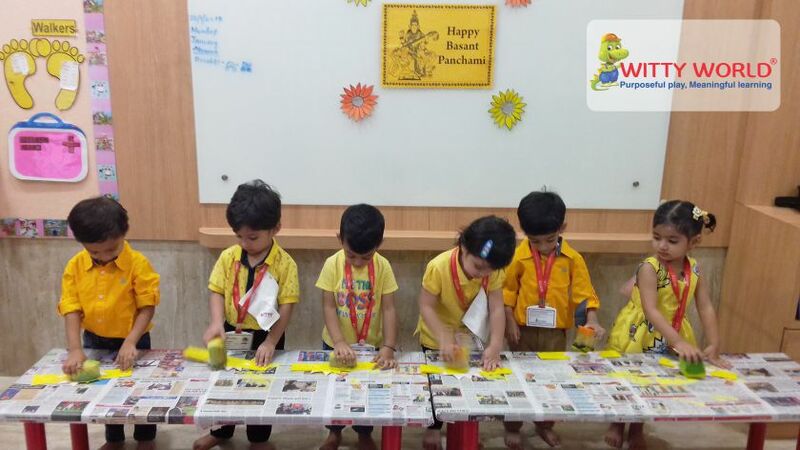 Basant Panchami is a seasonal festival which marks the arrival of the spring season. 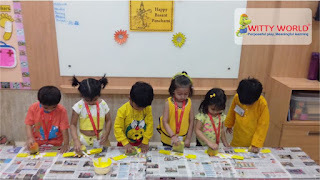 It bids farewell to winter and relieves us of the biting cold .. Spring denotes a new beginning, everything in nature is given a new lease of life.. “all is bright and beautiful.” That is why we celebrate Basant Panchami with great zeal and excitement. 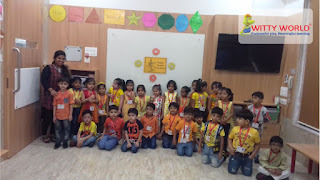 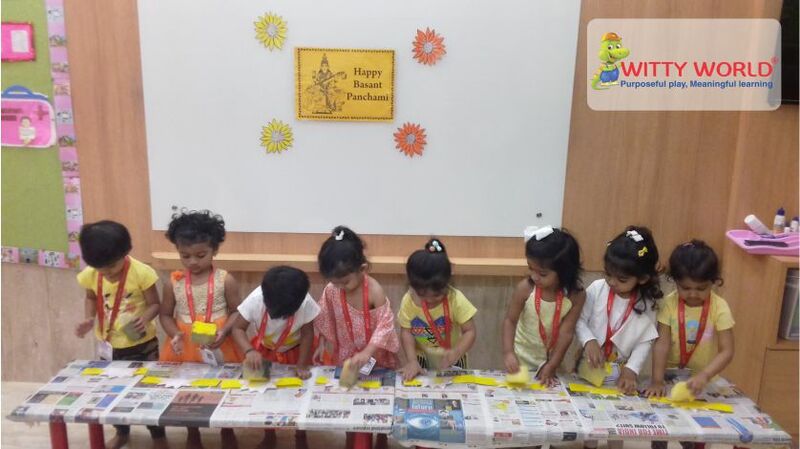 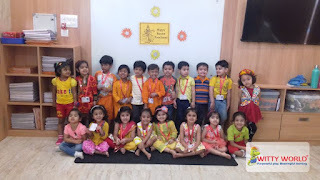 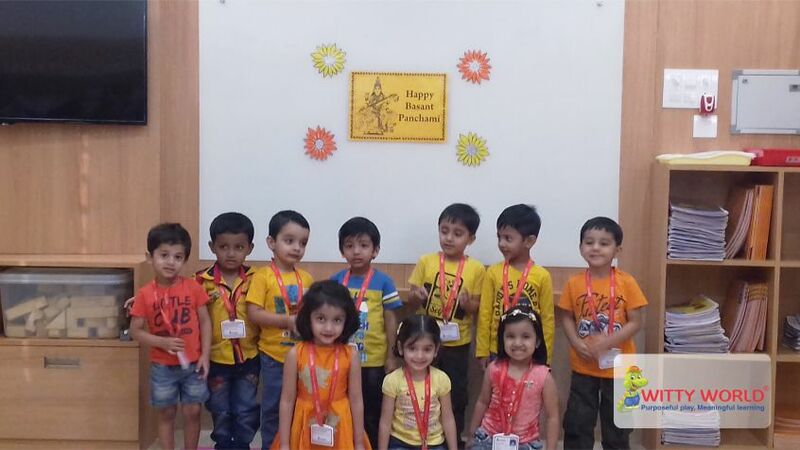 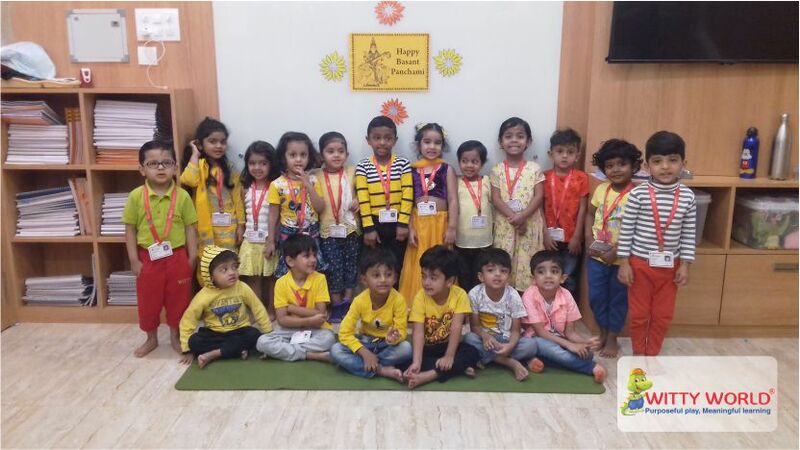 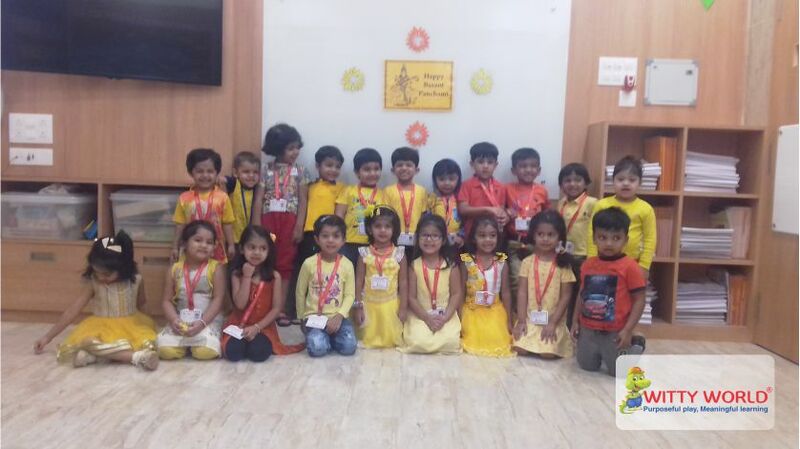 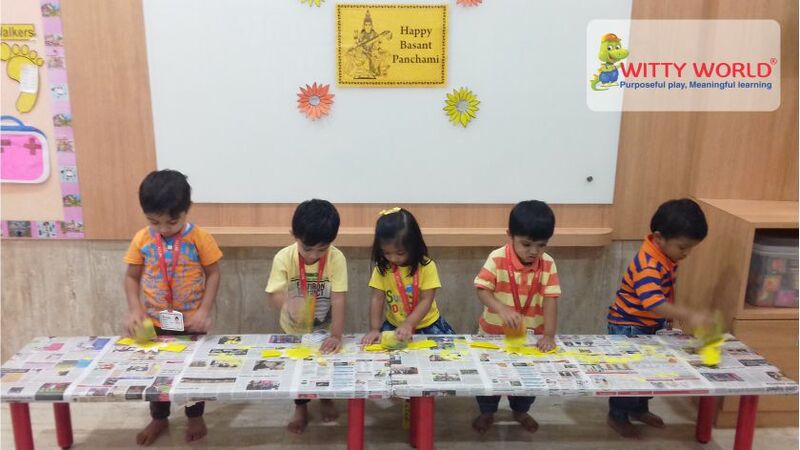 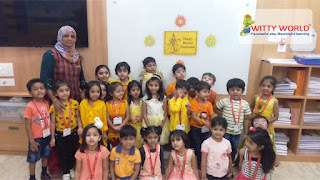 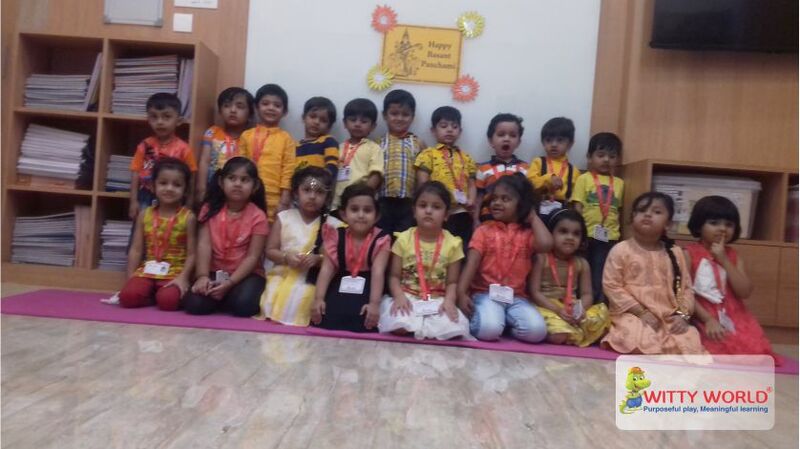 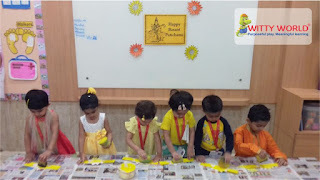 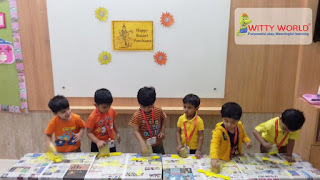 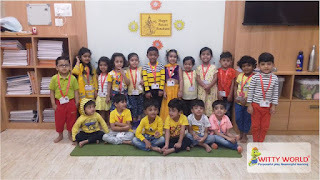 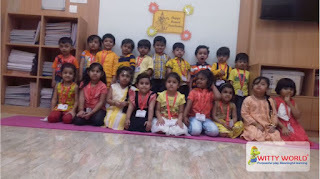 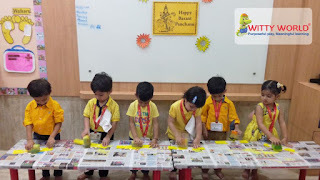 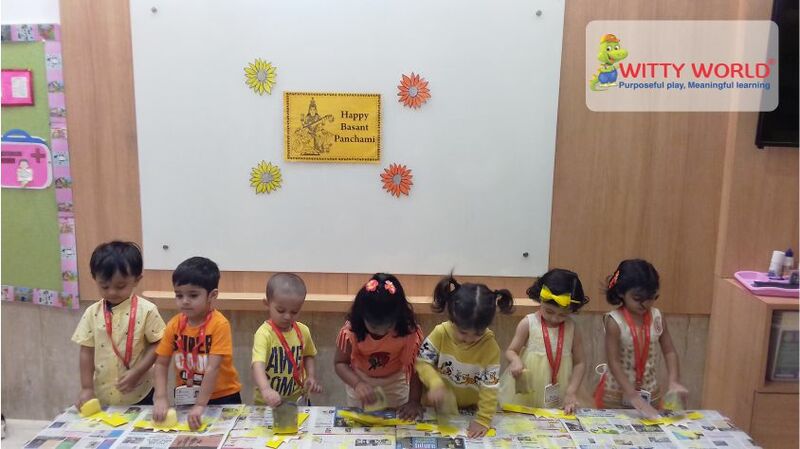 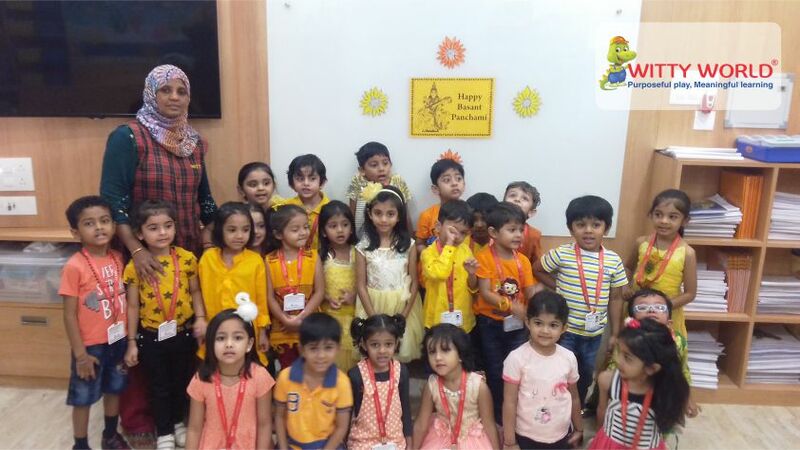 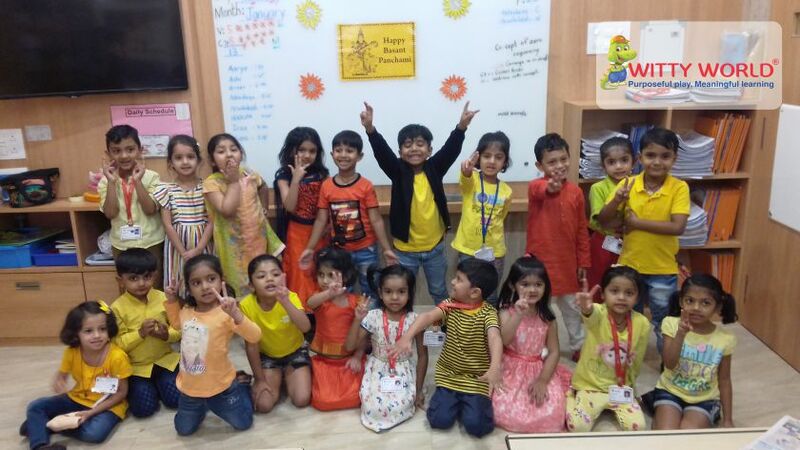 Little Wittians at Witty World too celebrated the arrival of Spring with great enthusiasm on Monday, 22nd January 2018. 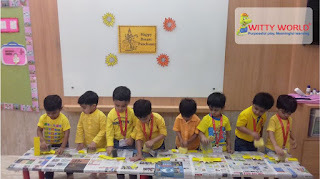 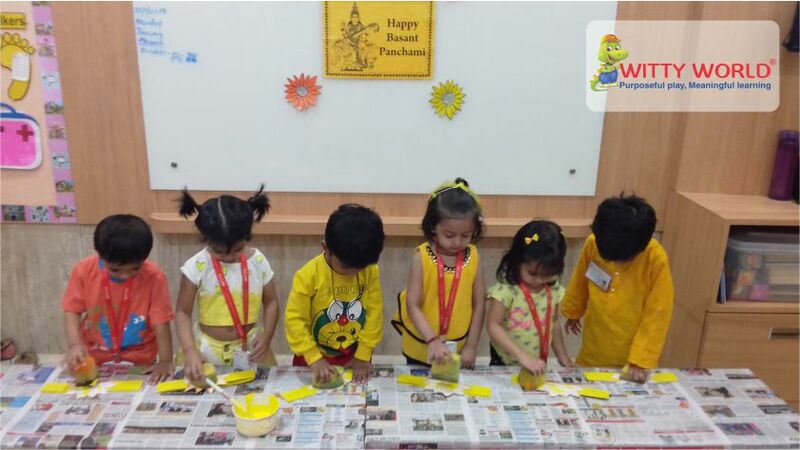 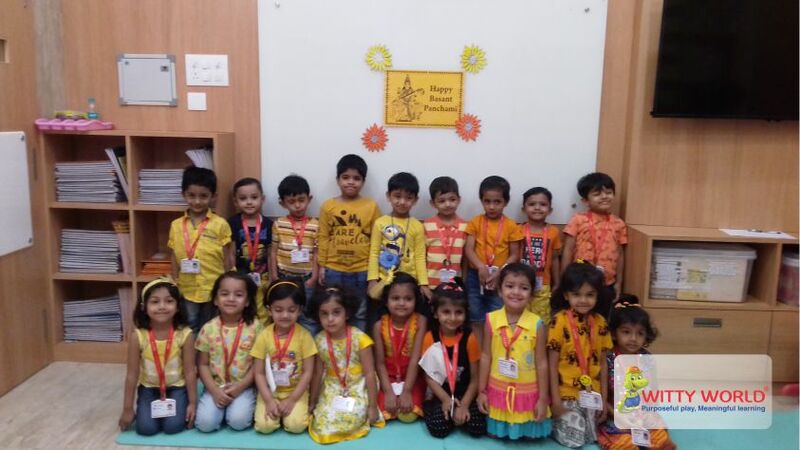 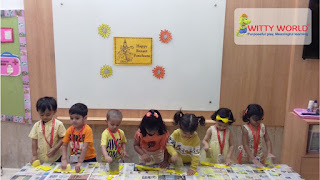 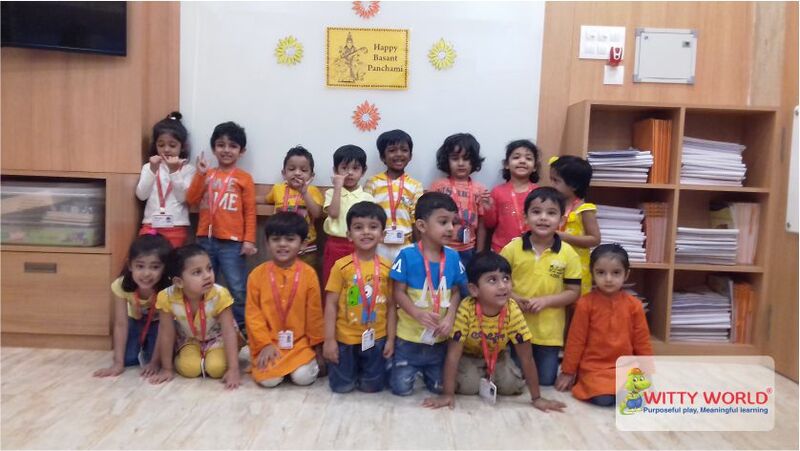 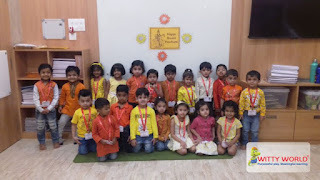 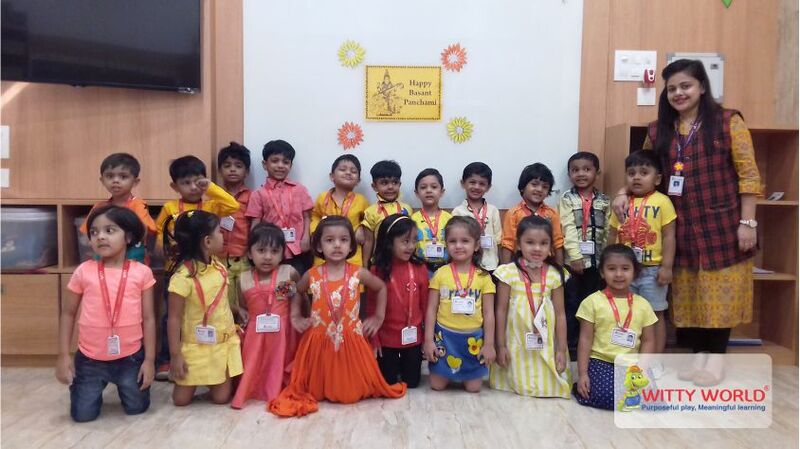 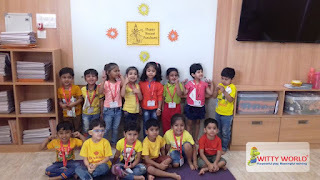 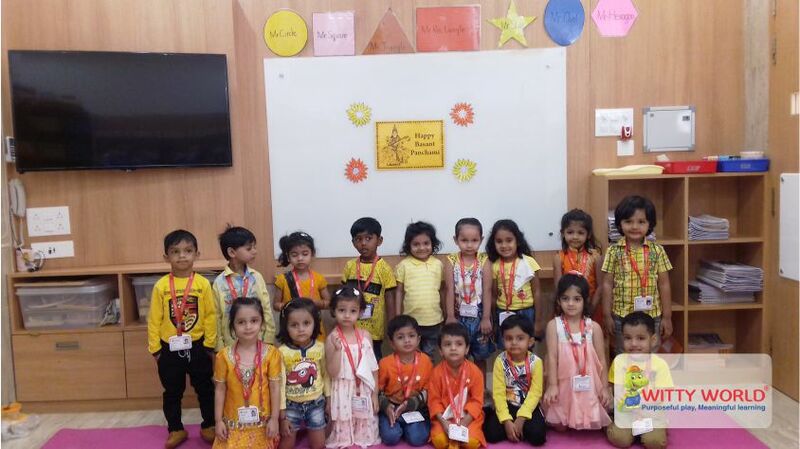 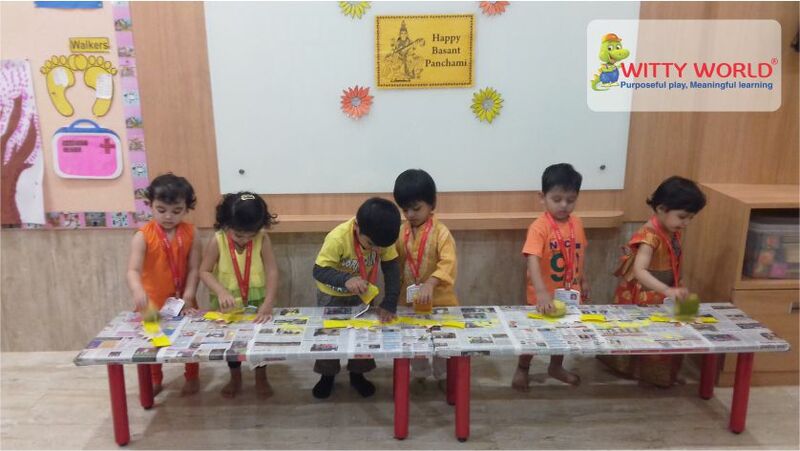 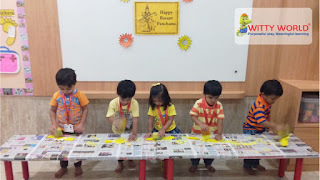 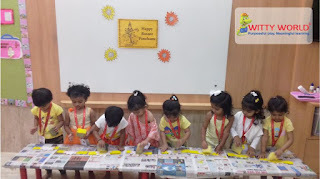 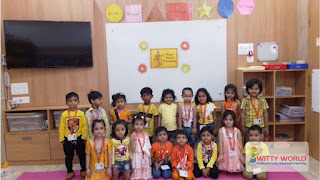 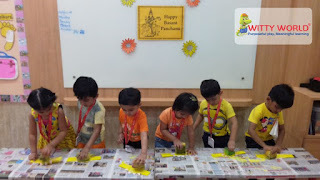 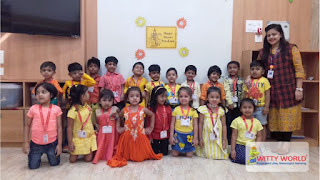 The colours of Spring were visible all over the school as children came dressed in bright hues of yellow and orange. 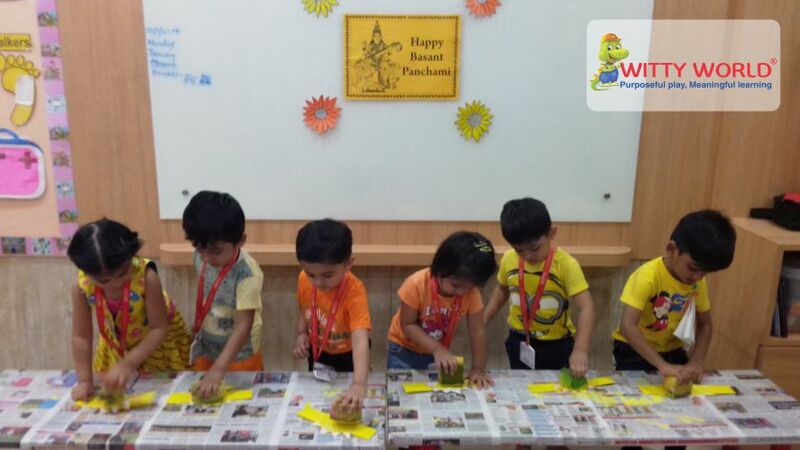 Teachers discussed the importance of this festival by showing slides and singing songs. This spring festival, which is dedicated to Goddess Saraswati, the Goddess of wisdom, was celebrated joyfully by the children and teachers.